Well, almost anyway. If you’re crazy brave enough to run out-of-doors you’ll notice the number of people joining you has increased. Maybe it’s just 5 others running along the canal instead of 1, but there’s no doubt the slight rise in temperature means running season is just around the corner. Most people take to spring running to help shed the pounds gained from a winter of hibernating, but there are a multitude of other benefits. Increased cardiovascular health, decreased stress, increased energy, prevention of bone/muscle loss and the increased ability to survive during a zombie apocalypse are just a few. Oh, and stomping your time from last year’s Ottawa Race Weekend is a good reason to lace up the trainers sooner rather than later. So let’s get to it, shall we? No matter if your past running experience is 20 marathons or 20 minutes, the best thing you can do for yourself now is to START SLOW. After 4 months of sitting around (conveniently the span of the worst parts of an Ottawa winter), you’ve lost enough endurance to merit starting out at a beginner level. Don’t think all that snowboarding counts either – running is a different ball game, using different muscles in different ways. Your lungs and heart might be in good shape, but we want to keep your joints and tendons like that too. So how do you start running slowly? Try 20 to 30 minutes at low intensity, two or three times a week. Low intensity is different for everyone, so listen to your body. Once you’ve got 30 minutes down no problem, start increasing the time in 5 minute intervals, or increasing the intensity by about 5%. It might seem slow, but d’you know what else is slow? An injured runner. Will starting slowly guarantee you won’t be injured? Unfortunately not, but it’s a great place to start. Another great way to detour around injury town is to partake in a running evaluation. Performed at any of our three clinics, it’s spread over two sessions. The first is a clinical evaluation, which delves into your previous running/injury history, takes a good look at your current level/goals, and identifies any physical factors that may impact your running biomechanics. The second session is a running evaluation, where your technique is assessed on an outdoor track. Based on your movement patterns, recommendations are made to make you the best runner you can be, while minimizing injury. If this is the year you want to have your fastest time, the detailed training plan we’ll provide will certainly get you there. This isn’t a generic week-to-week program! Running is a highly technical sport and a personalized plan will definitely help bring out your best. You can schedule a running evaluation by calling the Orleans, Barrhaven or Westboro office of Ottawa Physiotherapy and Sports Clinics. Now go get running! Race Weekend is only 9 weeks away! Run as fast as you can. Seriously! 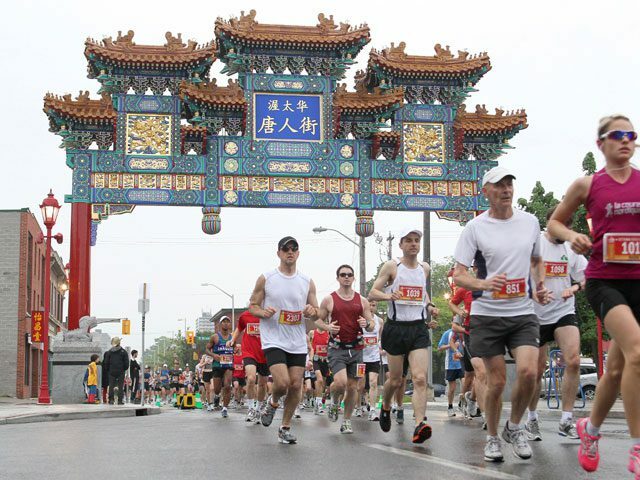 The Ottawa Race Weekend has come and gone, but that doesn’t mean running season is over. The river pathways are packed with people trudging along, all in the name of health and PRs. Trying to get faster? Want to run without injury for the rest of your days? Then a running evaluation might just be the thing for you. A running evaluation starts with an hour long assessment in the clinic. One of our physiotherapists will give you a head-to-toe assessment to find out if you’ve got any tightness, stiffness or weakness. They’ll also get an idea of what your running style is. You’ll get exercises to make sure your muscles are where they need to be, so we can teach you how to use them properly when you run. The next step is going off to the track, where the magic’s really going to happen. As far as we know, we’re the only clinic in the greater Ottawa area to take you outdoors as part of a running evaluation. We obviously want to take advantage of the nice weather, but more importantly, running drills are almost impossible to do on a treadmill. Some of them will cause you to fall right off, and we don’t want any of that: this is about getting you to run without injury. You also run differently on a treadmill than you do outdoors, since the treadmill helps you run. You time on the track will be spent running you through a series of drills (pun intended), and tweaking your running style based on YOUR body. Why would you want this? Well, because we can get you running more efficiently. By the time your track session is up, you’ll be running with better form and less effort. That means it won’t take you as much energy to run, so technically you should be able to run longer and/or faster. We can almost guarantee that you will. Everybody can run, but not everybody can run properly. For most people the differences between the two are some simple technique scenarios that just need to be tweaked. Our physiotherapists are more than happy to do the tweaking. With three busy clinics we’ve got quite a few physiotherapists kickin’ around OPTSC. Remember Andrew? Of course, how could you forget a face like that! Today we’re going to introduce you to another handsome member of our team: Nick Antaya. Nick decided to go into physiotherapy because he was inspired by his dad, but in a different way than you might imagine. His father wasn’t a physiotherapist, but a police officer. Unfortunately he was also the victim of a catastrophic accident; Nick’s father was hit by an 18-wheeler while standing next to his cop car. He broke every rib on the left, punctured a lung, and suffered head trauma as well as a multitude of other injuries. He spent 2 weeks in the intensive care unit where they didn’t think he would make it. Don’t worry, this story has a happy ending! Nick’s father did intensive rehabilitation with physiotherapy. It was the impact physiotherapy had, not just on his father but the entire family, that led Nick towards life as a physiotherapist. In 2007 Nick completed and undergraduate degree in Health Sciences (Honours) at the University of Ottawa. Instead of just froshing and keg stands, he also completed his personal training certifications. 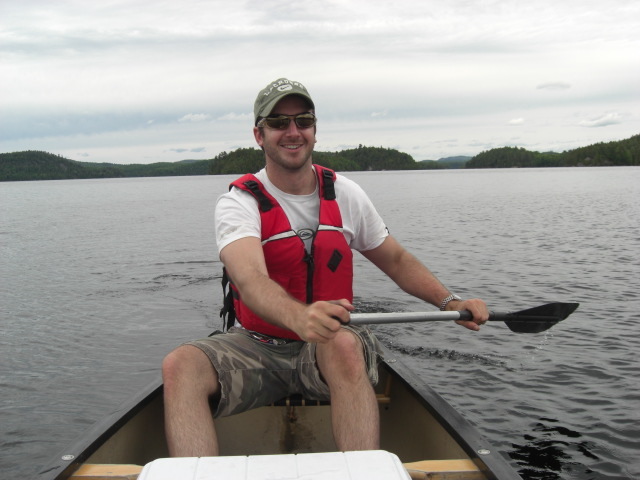 Yep, he’s ambitious, and completed his Masters Degree in Physiotherapy at the University of Ottawa in 2009. Even with all that training Nick didn’t slow down, and is currently one of the youngest physiotherapists in Ottawa to have competed his Level Three’s in manual therapy. Nick really knows his stuff. What are his favourite injuries to treat with all that knowledge? He loves any injury to do with running! Whether it is a back, knee or ankle injury, running injuries are truly unique to each individual. Nick enjoys the challenge of running injuries, since you must look at many factors to determine what could be contributing to the issue. Oh, and runners will typically also run even if you tell them not too, so it always make things…interesting. How does Nick know runners so well? He’s an avid long distance runner himself. 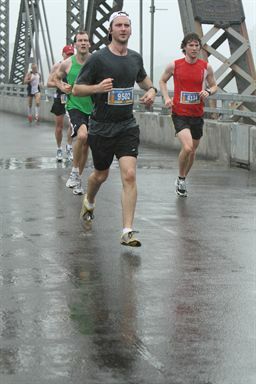 Nick recently completed a personal best at the most recent Ottawa Race Weekend half marathon, cracking the top 300 finishers! He’s hoping to qualify for the Boston Marathon in the next year. Want someone to empathize with your shin splints or your “NEED” to get your 50 kms in this week? Nick’s your guy. He might be a runner, but Nick’s got all types of injuries and imbalances covered. Having seen the affect of intensive physiotherapy first hand, you better believe he truly understands the process. His biggest tip: follow the recommendations that are given to you by your physiotherapist, and yes, that means your exercises! Right from the man himself: “a large part of the rehabilitation process is the homework we give people for home. I can guarantee your progress will be much faster if you stick to our plan.” If you want to hear more of Nick’s great advice, be sure to tune into CTV’s “Ask The Expert” on July 8th. He’ll be stealing the limelight from Matthew and happy to answer any of your physiotherapy related questions. That’s it for now. The next segment will be June 17th, so be sure to jot your questions down! Look Ma! We’re on the TV! Neat, huh? TV is a new thing for OPTSC this year, but Matthew’s especially enjoyed his little taste of show business. So much so, in fact, that starting tomorrow he’ll be doing a series of segments for CTV’s “Ask the Experts.” It’s a segment that happens every Monday morning after 9:00AM where you have the chance to ask a particular expert your questions via e-mail, Facebook, Twitter or by calling in live to the show. 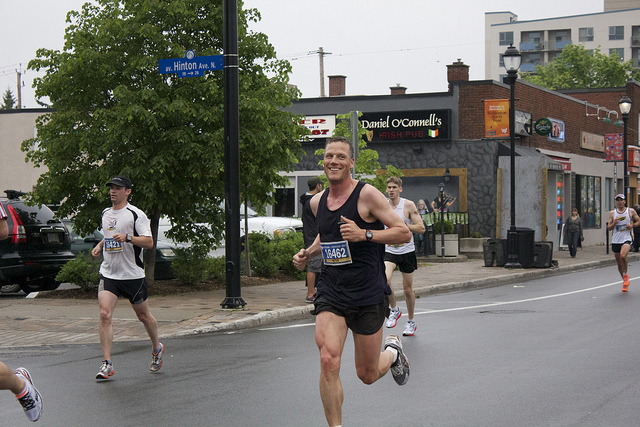 This week Matthew will be talking about running evaluations, so all you Ottawa Race Weekend runners can get your last few questions in before the big day! That’s right, no appointment required. Be sure to tune into to CTV Morning Live for the answers! C’mon, of course that’s not what we meant. We are going to tell you a bit about Andrew though. First off, we’re going to tell you why he decided to enter the world of physiotherapy. Funnily enough, it’s because he wanted to teach. That might make you wonder why he didn’t just become a teacher. Well, turns out the only class he really liked in high school was exercise science. Go figure.That led him to thinkin’ he might want to teach it himself when he grew up. Andrew aptly decided to start with an undergraduate degree in Human Kinetics at the University of Ottawa…where the only thing he liked was physio. So he decided to roll with it, figuring he could teach people about health and well being through physiotherapy. He enrolled in the Masters of Physiotherapy at UofO and was so keen on it he started working reception in the clinic before his Masters had even started. He’s been a part of OPTSC ever since. If you’ve ever had a treatment with Andrew, you’ll realize he’s a natural teacher. To make sure you’re clear about his methods, he explains everything while he’s doing it. You’ll appreciate knowing what’s going on, especially if he’s doing manual therapy (one of his favourite types of treatment, where he helps to get joint surfaces moving against one another in the way they should be moving). He’s super laid back, so don’t be shy if you’ve got any questions; Andrew is straightforward and thorough with his answers. His favourite injuries to treat? Lower back. Good thing, since low back and neck pain are the things he treats most often. Like to curl? Run? Volley? So does Andrew. In his youth he was quite the curler, although he doesn’t do much of it now. He gets his sports fix through volleyball, and of course with those long legs he’s a runner. A distance runner though, and he’s training for his second 1/2 marathon this May. He also snowboards, cross country skis, plays soccer, plays ultimate frisbee…the list goes on. On top of sports, and helping old ladies cross the street, Andrew volunteers as a medical trainer with the Myers Jr. Riders of the Quebec Junior Football League. So he’s obviously knowledgeable about MANY different injuries, but if you’re looking for someone who won’t judge you for dislocating your shoulder throwing a “biter,” he’s your guy. 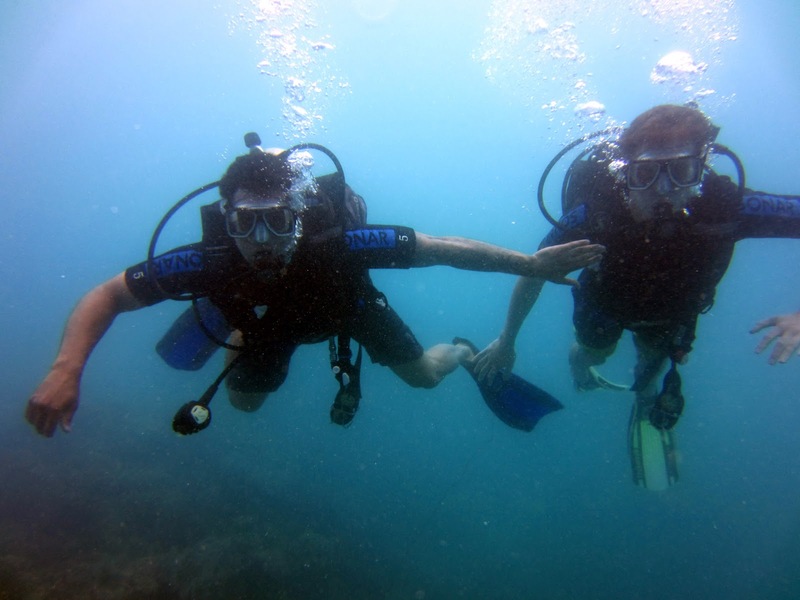 If you want to talk about something other than injuries or sports during a treatment, try travel! 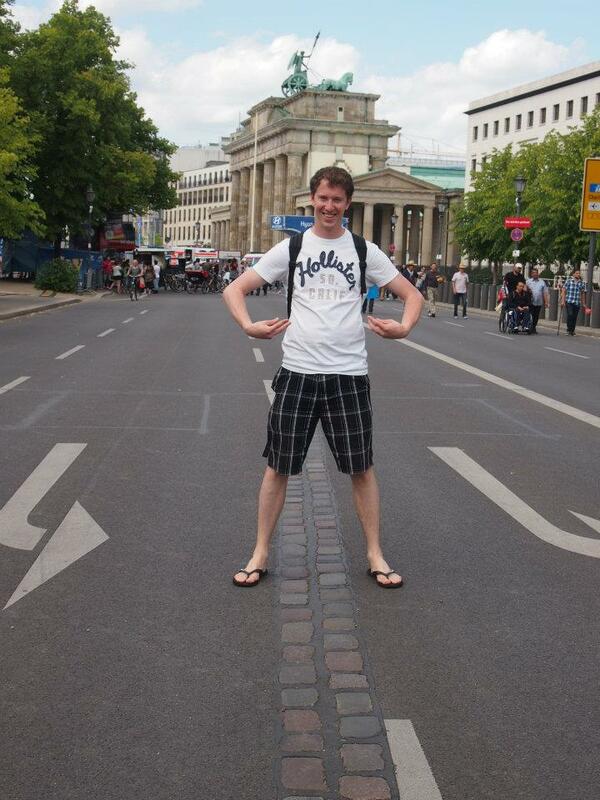 Andrew loves it, and has been to: Ireland, France, Cuba, Australia, Belgium, Netherlands, Germany, Austria, and Honduras. Don’t worry though, he won’t brag all through your appointment. On top of everything else, Andrew’s nothing other than professional.